Our friendly Customer Care Team is on hand between 9am and 5pm (GMT) Monday to Friday. We're always happy to receive your queries and facilitate the ease of your buying experience. If you require any information regarding the status of your order please don't hesitate to pick up the phone. Alternatively you could also contact us via email or live chat, just as long as it's during the above hours – we don't want you dragging our diligent team away from their much-needed beauty sleep. If you'd like to keep track of your order the status is automatically updated via frequent notifications. Once the status changes you'll receive an email letting you know what stage it has progressed to. We'll also email your tracking information to you upon dispatch of your order. This means you can track the exact location of the courier and thereby determine the time of delivery. Please be aware that some filters or settings may cause your email to be marked as spam. So if you're waiting on an email please first consult your 'spam box' to ensure that this isn't the case. What should I do if my order is overdue? In order to provide you with a memorable service we strive to ship every order out on time. However, due to the odd unforeseeable circumstance, it is sometimes the case that we might slightly exceed our initial estimates. Please don’t hesitate to get in touch if your estimated delivery date has passed. We’ll always let you know the reason for the delay, as well as providing relevant information concerning what happened and when you should expect to receive your order. UK – You’ll be provided with a DPD Express tracking number once your order has been dispatched and is with the courier. This tracking number will give you an indication of the estimated delivery date, including the expected time. Rest of World – FedEx is our trusty provider for all orders outside the UK. Upon dispatch you’ll receive a FedEx Express tracking number, which gives you an indication of the estimated date and time of delivery. Again, if you have any questions or queries about the delivery of your order you can contact FedEx Customer Services using their website http://www.FedEx.com. If you choose to do so please always have your FedEx tracking number at hand. We dispatch all orders within 3 business days once the order has been crafted. The majority of our jewellery is made to order and in some cases this can result in an extra 2 to 3 business days depending on the item. 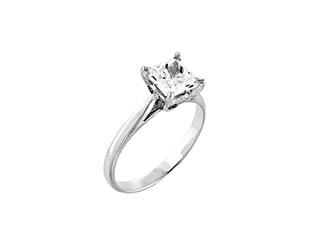 All estimated delivery dates are clearly stated on our website beside each item of jewellery. We dispatch all UK and EU orders by DPD Express and for the rest of the world we use FedEx Express. UK and EU orders can take 2 to 3 business days to arrive with you depending on your geographic location. Orders to be delivered outside of the UK and EU will take a minimum of 3 business days to be delivered. When an order is dispatched, you will receive an e-mail containing courier details and tracking information. To track your order with the information we send you, please visit one of the following links. Of course we understand, as with anything that requires focus and feeling, mistakes can sometimes be made. Buying jewellery is no different and that’s why we’ve arranged several fail-safe services to ensure you’re always happy with your purchase. 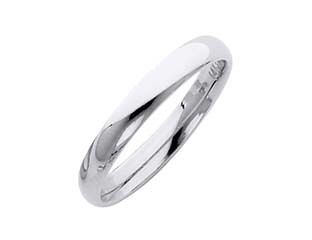 Rings - If the ring you’ve ordered is the incorrect size we’ll resize it for you, although this may incur a £20 resizing fee to cover our own costs. 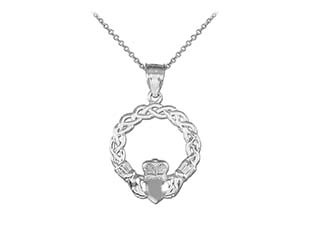 Necklaces – If you order the wrong size necklace don’t worry, it’s not uncommon. You can contact our Customer Care Team and someone will be at hand to rectify the issue quickly for you. 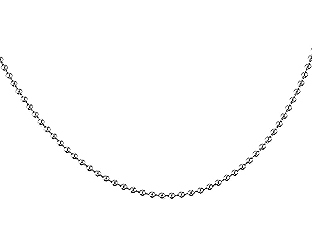 Some of our chains vary in price though, so please be aware we might require additional payment when exchanging chains. Please also note that Gold Boutique won’t cover any postal fees for the return of an item that was part of a misplaced order. The process of an exchange begins the moment we receive your returned item, after which we’ll keep you updated while we handle your requirements. Please ensure that you’ve read all of our product information to determine whether you’ve chosen the correct size, style, etc... Items must also be delivered in an unworn condition in order to be accepted for an exchange. Presently it isn’t possible for orders to be collected in person, although our sophisticated factory, warehouse and office distribution system allows us to dispatch your order at the earliest possible date. This means we can provide luxury jewellery at the lowest prices, but it does restrict us to mail-only delivery. However that doesn’t mean that in the future we won’t introduce public pickup points. We do deliver to British Forces Post Office addresses. All you have to do is enter the BFPO address in the Shipping Information section of The Checkout. Shipment to BFPO address may take an additional day or two so to counter this we’ll mark such orders as urgent, thereby reducing the overall delivery time. Do you offer a gift wrap service? We don’t currently offer a gift wrap service, but that doesn’t mean that we never will. What we do offer is understated, unmarked packaging giving you the option to surprise that special someone. Each piece of jewellery will be safely delivered in a presentation box with inner-cushioning to prevent damage. The box doesn’t include any information regarding the jewellery inside, so don’t worry; your secret is safe with us. If you’d like to receive updates regarding new features and services please sign-up to our mailing list. I have received a payment error in the checkout. What is this? Occasionally your card might be declined. This can happen for one of a number of reasons, most common of which is that the bank issuing the card has put a temporary hold on your funds. Banks often do this as a security measure when they detect that you’re making a high-priced online purchase, especially if it’s out of character comparative to your average spending. If this happens, please call your bank or card provider to inform them that you are trying to make a genuine purchase. Be assured that we’re very meticulous at this end and your card won’t be charged more than once. If you experience any other errors or require ordering assistance please don’t hesitate to contact us during our working hours (GMT), on 08455 194 555. In the case of a refund how long will this take to process? 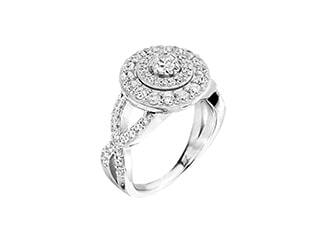 The moment your jewellery reaches us it will be processed by a member of staff from our Returns Department. Soon afterwards a refund will be sent to the card used at the time of purchase. This will normally take 3 working days to complete. Unfortunately we have no control over this timeframe and the expediency of this service rests solely on your bank or card provider. Can you deliver to alternative address? The answer is yes. If you wish for your order to be delivered to somewhere other than your billing address please specify at The Checkout. Alternatively, if it’s more convenient, we could also arrange for your order to be delivered directly to a recipient who lives far away. If you have provided your mobile telephone number our courier service, DPD will endeavour to text you when your order is on route which gives you an option to leave in a safe place. If the leave safe option is chosen, Gold Boutique would not be liable for any occurrences of the order being declared lost. Yes, of course. You can call our Sales Department on 08455 194 555, provided it’s between the hours of 9am and 5pm (GMT) Monday to Friday. The process of making a telephone order takes only a few minutes and is always relatively effortless. One of the amiable members of our team will be available to answer any questions you might have. Telephone orders are placed in pretty much the same way as online orders. All we require is that you provide an email address for the purpose of sending order and shipping information. Will my jewellery be sent in plain packaging? Yes. All of our jewellery is delivered to you in discrete packaging so as to keep your surprise under wraps. Each piece will also be packaged in a presentation box. This includes soft inner-cushioning to prevent damage, as well as an envelope and a DPD/FedEx box. The box is designed to keep your surprise and doesn’t include any information regarding jewellery on the exterior. At what time in the day will my delivery be made? 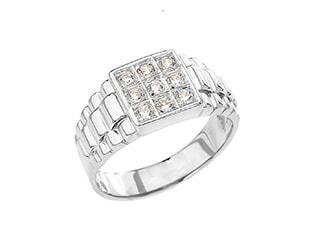 Gold Boutique offers every ring size ranging from A to Z, including half-sizes. There are multiple ways to determine your exact ring size, most of which consist of a visit to your local high street jeweller. Usually someone in-store will have a gauge ring or calliper and they can tell you your measurements. 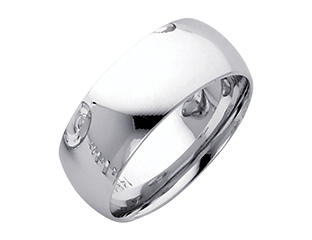 Alternatively, if you’re a UK resident please click here to order a free Ring Sizing Gauge from Gold Boutique. Is certification provided with all jewellery? 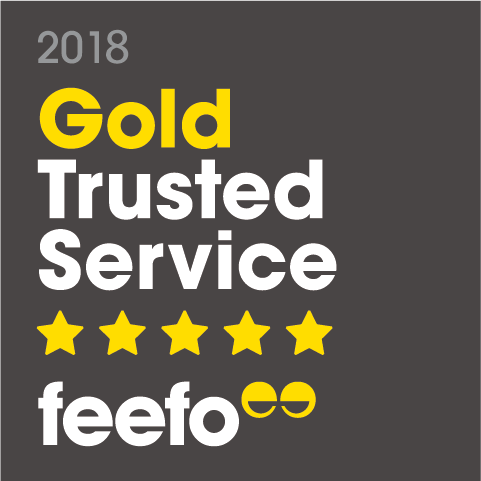 As a seal of approval Gold Boutique provide an Official Manufacturer’s Appraisal Certificate for every item bought from our store. This certificate shows the independently valued retail price of each Gold Boutique item. The appraisal value is calculated using a comprehensive evaluation of the composite characteristics of each item of jewellery. Can I return an unwanted item and, if so, how do I? If, upon reflection, you’ve decided you aren’t happy with your purchase you can always return it to us for a full refund, exchange or replacement. However you must notify us within 30 days of receiving the item in order to be eligible for this service. Returned items can only accepted if they’re in an unworn condition and still fitted with tags. If you decide you’re unhappy with your jewellery after the 30-day return period we’ll often still offer you an exchange. Remember it’s your responsibility to ensure that all returned items arrive safely with us. Please make sure you acquire insurance and tracking information for your returned item. We must stress that Gold Boutique can’t be held responsible for packages lost on the way to our returns department. If you'd like to exchange a piece of unwanted jewellery for a different piece you can contact us within 30 days of receiving it. All exchanges must be equal to or greater than the initial order value. We will always endeavour to facilitate your request, provided it is within the 30 day period. What happens if no one is available to accept the delivery? At Gold Boutique we can ensure you that your details will always remain secure. This assurance is supported by our partnership with Comodo, providers of the highest level of website security available. We also utilise Comodo’s Extended Validation (EV) SSL certificate, which is a 2048-bit, highest-assurance certificate that guarantees all your personal and payment information will remain safe. On top of all this we are fully PCI DSS compliant to the standard determined by the Payment Card Industry Security Standards Council. As an ecommerce site we don’t currently have a physical store, nor do we have the overheads associated with running one. This means that, like most online jewellers, we don’t currently have a showroom at any of our offices or factory addresses. Conversely it does also allow us to bring you the best possible prices. 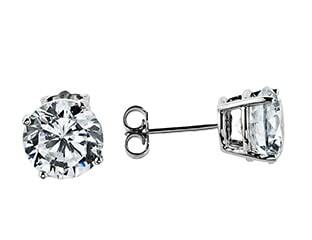 For many years Gold Boutique has been manufacturing high quality diamond and gemstone jewellery at very competitive prices. We’re dedicated to putting quality first and avoiding substandard products. 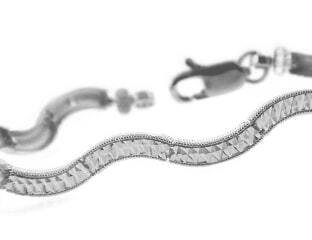 Other jewellers operate muddled chains of physical stores with various overheads, but we don’t. This means we can meet your needs with a more personal touch and consistently provide the best prices on your favourite luxury jewellery. Our store is open 24 hours a day, 7 days a week. However, should you have any queries or questions, our Customer Care Team are available via telephone, email and live chat between the hours of 9am and 5pm (GMT) Monday to Friday. How do I contact Gold Boutique? Our friendly Customer Care Team is on hand to answer your queries. From inside the UK you can contact us on 08455 194 555 between 9am and 5pm, Monday to Friday. Alternatively you can contact us via email or live chat. How quickly will someone get back to me? Our Customer Care Team is very efficient and always on-hand during our operational hours of 9am to 5pm (GMT) Monday to Friday. We’ll respond to your emails and contact form queries within 3 working hours. The Gold Boutique Live Chat Service can also be found via the speech bubble in the bottom right corner of your browser window. Use of this bubble will alert one of our team who’ll reply to your query immediately. If you’d like to speak to us directly please don’t hesitate to call on 08455 194 555. In the unlikely event that there aren’t any members of our team available please leave a message and we’ll respond to you promptly.